Ahoy matey! 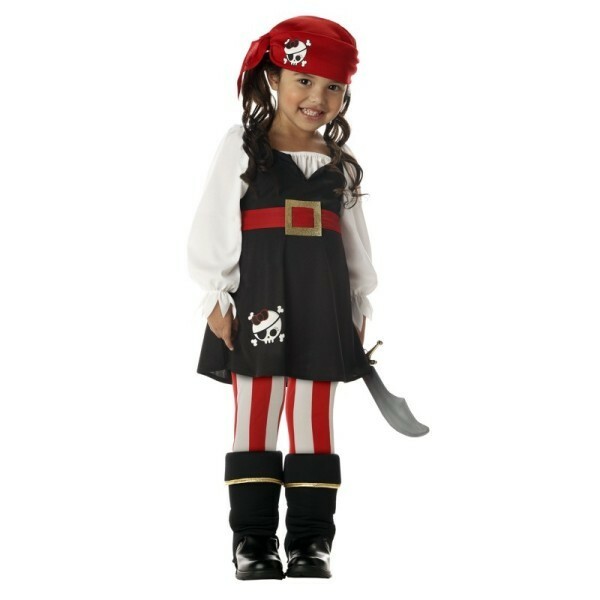 She'll be ready for adventure in this fun pirate costume -- just add a parrot, treasure map, or eye patch to turn her into the perfect pirate. Costume includes dress with attached belt, bandanna, boot tops, and tights.